"But Fat-bottomed Girl!" you rudely interject, "What is so special about this perfectly ordinary looking and unfetishised bicycle? I see no wicker baskets or cute bells or even mudguards! I can barely picture a nubile, billowing skirted maiden upon the saddle! 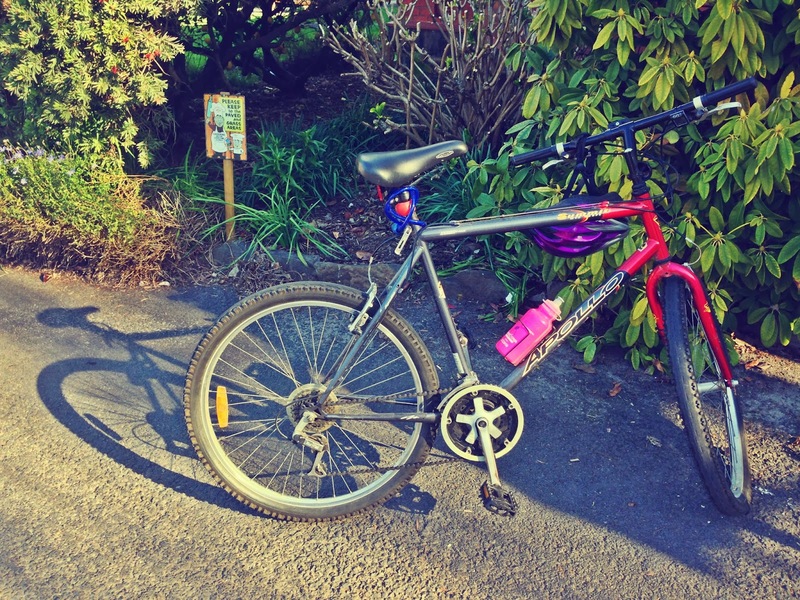 Surely this bicycle is the very antithesis of internet cycle chic posts!" And Secondly: I'll tell you why this bike is the most beautiful bicycle in the world if you'll just shut your trap for a moment. This bicycle is parked outside of a chocolate factory. Specifically it is parked outside House of Anvers, a jewel in the North West Tasmanian crown of national highway attractions and most relevantly, the diametric opposite of bicycle friendly location and access. It is a car, car, car world after all but the beautiful soul who owns this bicycle knows it takes more than a string of high speed brushes with death and lack of bike rack to keep them from FREE CHOCOLATE. Yes. There are free tasters in the gift shop. And not free cake in the restaurant. And amazing Belgian waffles. They also do a shockingly delicious gluten free sandwich. Once again you're welcome, Tasmanian Tourism. I salute you, Anonymous Chocolate Seeking Cyclist.